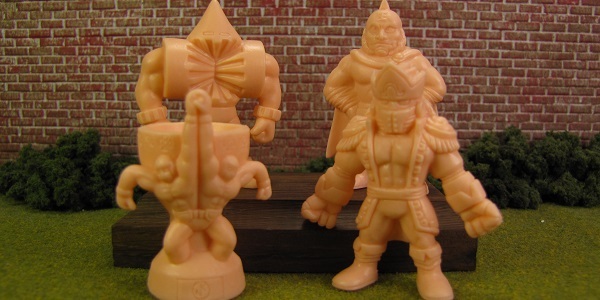 Bandai has added to the Kinnikuman Kinkeshi Premium figures by releasing a series of figures in vending machines (Gashapon). This is the fourth set in the series. 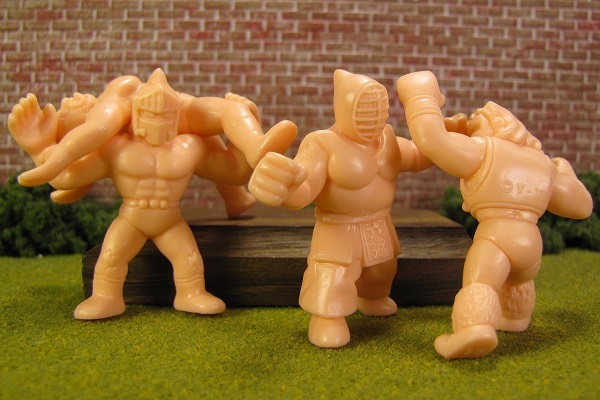 Bandai added to the Kinnikuman Kinkeshi Premium figures by releasing a series of figures in vending machines (Gashapon). This is a special second, best of, set in the series. 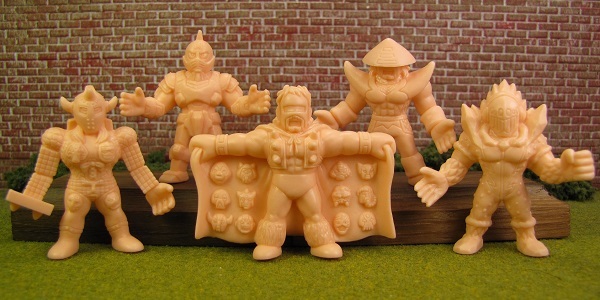 Bandai added to the Kinnikuman Kinkeshi Premium figures by releasing a series of figures in vending machines (Gashapon). This is a special first, best of, set in the series. 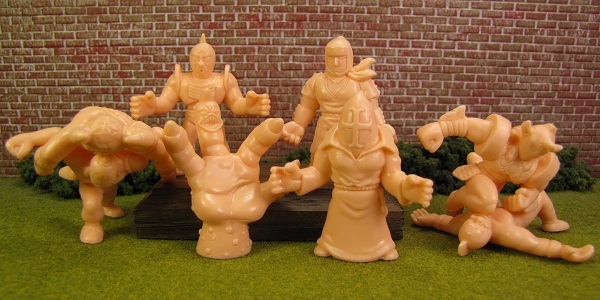 The seventh wave of new M.U.S.C.L.E. figures continues the fun. 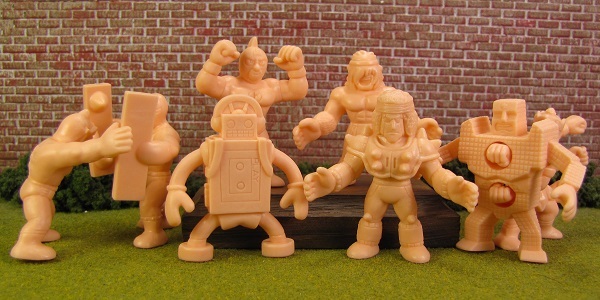 The sixth wave of new M.U.S.C.L.E. figures might contain the best sculpt so far. 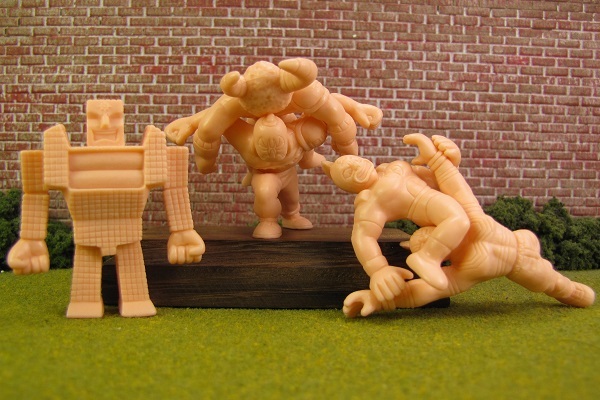 Fisher-Price’s Imaginext’s 11th wave of figures included two figures inspired by the M.U.S.C.L.E. 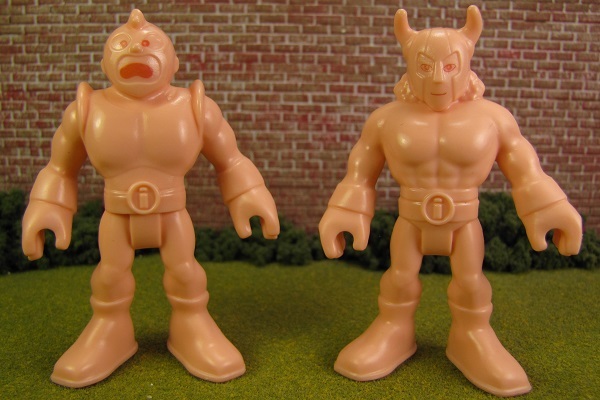 figures Muscleman and Terri-Bull.